In honor of National Disability Employment Awareness Month (NDEAM), Sojourn is recognizing and celebrating Sojourners who are working or looking for work. Long-time Sojourner Karyn Roesler was ready for a change. 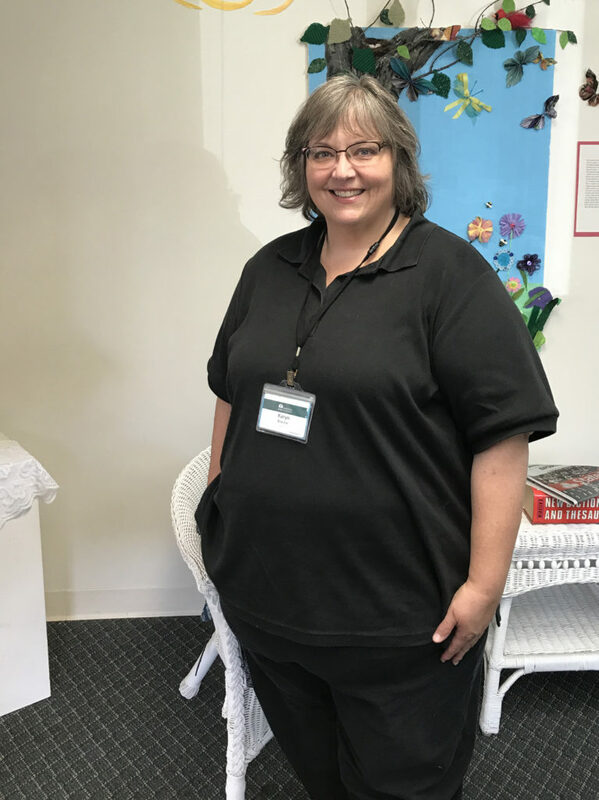 After a long stint at the Adult Training and Habilitation Center (ATHC) recycling facility, Karyn wanted to find a job of her own. With the help of her case manager, Karyn landed a position at Presbyterian Homes. Since January 2016, she takes the bus to serve in the dining room two to three times a week. She loves interacting with her coworkers and home residents while helping others. Karyn has always had a serving heart. Her social service career was all about helping people. It started when she found Camp Friendship while taking a break from college. From there, she went on to group homes and day programs before returning to school for a degree in nonprofit administration. She held several positions at Welfare to Work in Minneapolis, from training women to reenter the workforce, to supervising four to five Welfare to Work locations. Then a brain injury left her looking for work. worked,” joked Karyn, a humble way of revealing her passion for helping others. Using Accessibility, ATHC, and Sojourn, among others, Karyn found her way back into the workforce. Sojourn’s Sally Hebson was a great motivator for Karyn, reminding her of the joys of work and routine. As Karyn pointed out, working leads to better health. 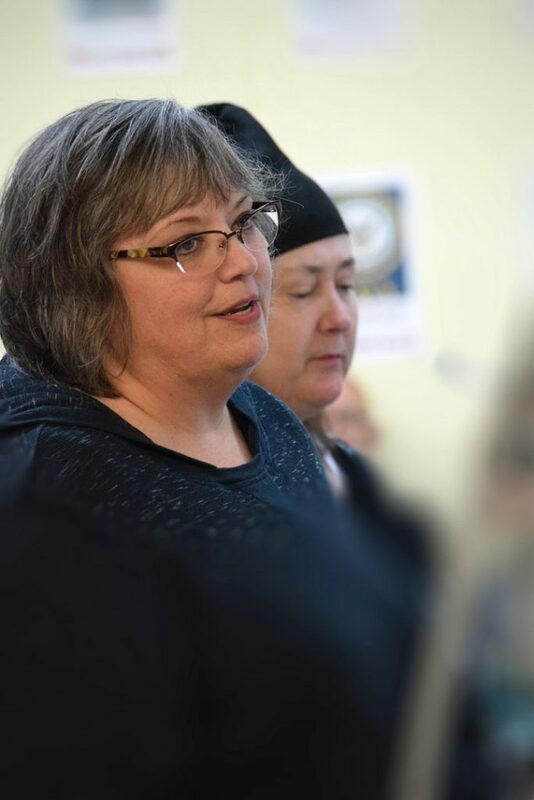 Sojourn’s choir also holds a special value for Karyn. Even with her job, she returns to Sojourn on Tuesdays for choir practice. If she could start all over, Karyn would still choose social work. Her love for people keeps her motivated and strong. She wants possible employers to “give people a chance.” There are amazing workers out there who just need a little flexibility. To those looking for work, she recommends finding support. A little extra motivation, focus, and help from someone goes a long way.